When most people think of workplace injuries, they think of big accidents with one-time effects. While these types of injuries tend to make the headlines, they only make a portion of the workers compensation claims filed in Utah, Idaho and beyond. The reality is that many, many kinds of injuries and illnesses develop over months and even years as a result of regular exposure to specific conditions or repetitive stress to certain areas of the body. Carpal tunnel syndrome is one such type of repetitive stress injury that we see time and time again with our clients. To be brief, if you developed carpal tunnel syndrome as a result of work-related duties, you may be entitled to workers comp benefits. Read on to find out more, including what you should do to receive the compensation you deserve. Carpal tunnel syndrome is a painful condition that occurs when the median nerve of your wrists is compressed repeatedly. This nerve is important, and controls both the feeling and movement in most areas of the fingers. The area at the bottom of your hands where the median nerve runs through is called the carpal tunnel—when the tendons in this area become swollen, it can create pressure on your nerve that results in pain ranging from mildly annoying to debilitating. Lifting, bending, pulling, and even typing can cause carpal tunnel syndrome to develop over time. How Do You Prove Your Carpal Tunnel Syndrome is Work-Related? Carpal tunnel can result from a wide variety of factors, which can make proving these claims a challenge. 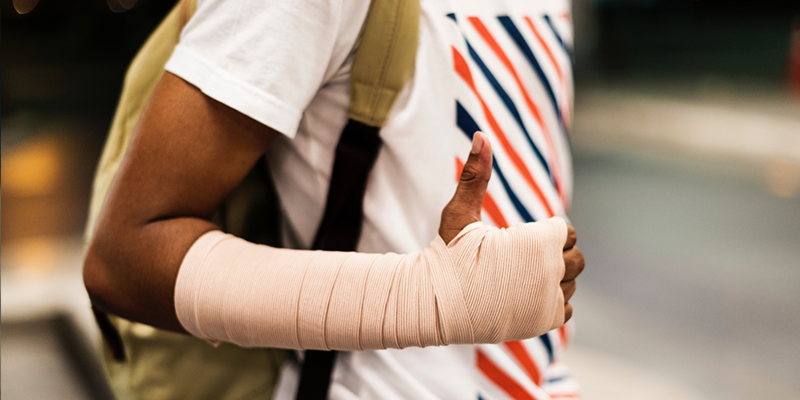 To receive workers comp benefits for your injury, you’ll have to prove that your injury came about as a result of your normal job-related duties and NOT because of outside factors. Remember, insurance companies are highly skilled at minimizing the extent and cause of your injury. Failure to seek professional help could mean losing out on a portion or even ALL of the compensation you’re entitled to—especially for complex injuries like carpal tunnel. When you’re ready to place a safe bet on your well being and future, contact us immediately to set up a free consultation. We’ve helped win many carpal tunnel cases already, and we’re ready to do the same for you too.